The Bachelor of Science program is a four-year pre-licensure degree program designed for students who desire to complete professional nursing education at the Baccalaureaate level and enter into professional practice. Additionally, the program provides students with a solid foundation for continuing their nursing education at a graduate level. The curriculum is designed to prepare students for roles in nursing leadership, research, and advanced practice. Both professionals and students who are looking to fulfill their potential in the expanding field of health care are perfect candidates for the baccalaureate degree in nursing. WHY CHOOSE THE BSN PROGRAM AT CCGA? Service-learning: Through this unique design students design and implement health strategies for the Coastal community and civic engagement. Miriam & Hugh Nunnally Health Science Building: The second floor is designed to meet fundamental and high-level skills needs of the nursing student through our state-of-the-art simulation facilities. 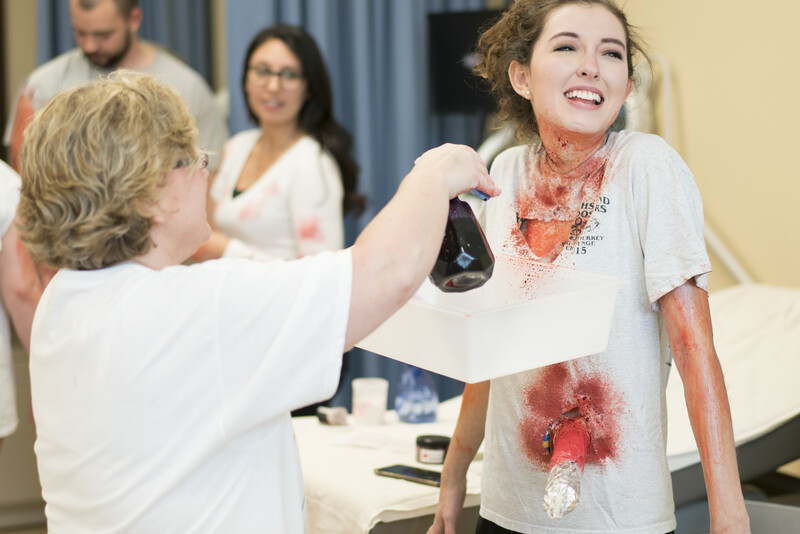 here students engage in critical thinking through hands-on skill training, collaboration, and high-fidelity simulation sessions designed to meet real-life nursing scenarios experienced in practice. Clinical Experiences: The SONHS has developed important partnerships with a number of healthcare agencies and hospital system, including: Brunswick, Savannah, Waycross, and Camden, Through our available partnerships students gain a variety of valuable practice experience. In addition to high expectations in the rigorous courses, and student-community engagement through service-learning, faculty members also establish and model high professional standards for students. Faculty frequently present their work at regional and national conferences, and encourage and provide the opportunity for their students to do the same. 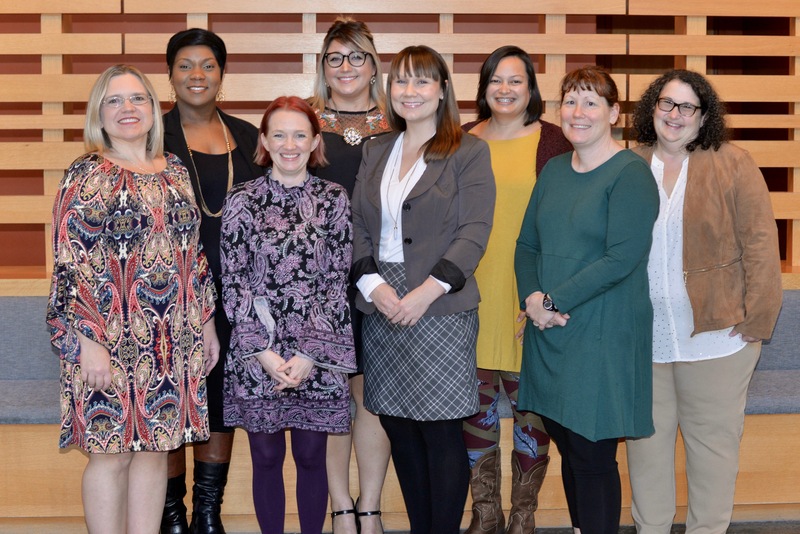 Faculty often hear back from employers that these professional development student opportunities are what set our graduates apart from other schools. Ranked #1 out of 2086 similar programs nationwide by the National Council of State Boards of Nursing in 2016. Founded in 2016 and sharing a mission with Sigma Theta Tau International, one of the largest, most respected, international honor societies in the world. Students represent the top 35% of the class and must be in good academic standing. At least 95% of BSN graduates acquire jobs in the healthcare system within 6 months; with many students already offered employment prior to graduation. Healthcare facilities who are familiar with the BSN graduates often seek them out for employment upon graduation. Employer satisfaction surveys show that graduates meet, or oftentimes, exceed expectations after 6 months to a year of employment as a registered nurse. Applicants must meet specific requirements to be considered for admission to the BSN Program. Applications must be received in the Department of Nursing office by the deadline date posted on the college website. To be considered for admission, the student must ensure that all required documents (BSN program application, official transcripts, HESI A2 results) are received in the Nursing and Health Science Office prior to the application deadline posted on the college website; however, the Progression and Admission Committee will continue to look at applications until the spaces are filled with qualified applicants. Applications will be considered based on qualifications and space availability. Letters of program status (acceptance or denial) will be mailed to all candidates. Please do not call our offices in regard to individual status as officials do not discuss this matter over the phone prior to the sending of letters. Meeting minimal admission requirements does not guarantee admission to the BSN Program. Complete the College of Coastal Georgia admission process. Application for admission is available at www.ccga.edu. Students must be officially accepted to the College of Coastal Georgia prior to submitting an application to the BSN program. Complete the BSN Application, on the School of Nursing website. Include all requested materials and submit to the School of Nursing and Health Sciences. All required admission materials must be submitted as a packet in a single envelope. Submit official transcript(s) for all college work attempted. If an applicant wishes to re-take the HESI A2 to achieve a higher score, it is recommended to ONLY re-take the section(s) in which admission criteria was not achieved. The section(s) repeated will be the final results submitted to the admission committee. The committee looks at the second score ONLY for these section(s) and will not accept the previously submitted score. I.E. if a score of 75% is needed in Math and the applicant first scores a 70%, they may repeat the Math section of the exam; however, if the second attempt results in a 68%, this is the score used for admission. Have a minimum grade of C in all courses. Have a minimum of a 2.8 overall grade point average (GPA). Complete all required core courses prior to the start of the BSN courses. Have completed BIOL 2111, BIOL 2112, and BIOL 2215 (and corresponding labs) within the previous 5 years. If these courses are older than 5 years they may be subject to review by the Department of Nursing and Health Sciences Dean and the student may be required to retake. If the student has ever received a D or F in a nursing course in any nursing program, they will be evaluated on an individual basis by the Admission and Progression Committee. If a student has received a D or F in two or more nursing courses they are not eligible for admission to the BSN program. Critical thinking -- Critical-thinking ability sufficient for rapid clinical judgement and decision making. Interpersonal -- Interpersonal abilities sufficient for interaction with individuals, families and groups, from various social, emotional, cultural and intellectual backgrounds. Communication in English -- Communications abilities sufficient for verbal and written interaction with others to include note taking abilities and the ability to rapidly interpret and disseminate information. Mobility -- Physical abilities sufficient for movement from room to room and in small spaces. Motor Skills -- Gross and fine motor abilities sufficient for providing safe, effective nursing care. Hearing -- Auditory ability sufficient for monitoring and assessing health needs. Visual -- Visual ability sufficient for observation and assessment necessary in nursing care. Tactile -- Tactile ability sufficient for physical assessment. The application process for Fall 2019 will open November 1, 2018. The Priority admission deadline is February 15, 2019. If there are any seats available after that date, we will continue to accept applications. We have a notary public in the nursing office (HS216) if you would like to get your application notarized free of charge. Important! Students must submit all required materials as a complete packet.